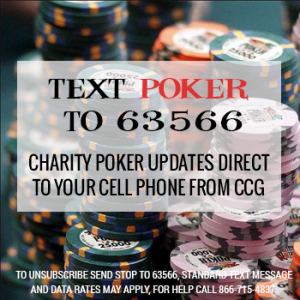 Helping charities reach their goals through poker one event at a time! For more information on Multi-Table Tournaments, click here. For more information on Cash Games, click here. *Live cash games will start at 12pm and run all event long. If you are interested in hosting a charity poker event for your non-profit, please contact us today! 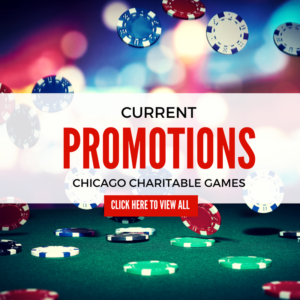 Advertise with Us: Are you interested in reaching thousands of dedicated Chicago Poker Players? Check out our advertising options here. Buy your 2018 Black Friday Early Bird Seat here.